Samsung ne Samsug galaxy j4 ki sucess ke baad ek new budget Smartphone Samsung galaxy j4 plus market main launch kar diya hai. Galaxy j4 plus ek budget segment ka smartphone hai jisse under Rs.11000\- main launch kiya gya hai. J4 plus ko market main chalte competation ko dhyan main rakh kar Samsung galaxy j4 plus ko launch kiya gya hai aur sath hi ek bahut hi achi offer di gai hai. Galaxy j4 plus ki specifications ki baat ki jay to handset main 6" ki HD+ IPS LCD capacitive touchscreen di gai hai. Phone ke display resolutions 720 x 1480 pixels hai aur 274 ppi hai. Agar screen to body ratio ki baat ki jay to 18.5:9 ratio hai. Performance ki baat ki jay to galaxy j4 plus main Snapdragon 425 ka Quad core 1.4 GHz Cortex A-53 processor diya gya hai. Samsung galaxy j4 plus 2GB RAM aur 32GB internal memory ke variant main hai. Handset main aur bhi jyada data store krne ke liye dadicated memory card slot diya gya hai jismain 256GB tak memory card lga skte ho. J4 plus Smart dual sim support ke sath aa rha hai. Phone main photography ke liye 13mp ka rear camera diya gya hai with f1.9 aperture ke sath jisse low light condation main bahut achi pics capture kar skte ho aur selfie ke liye 5mp ka front camera diya gya hai with f 2.2 aperture. Photography experiance ko aur bhi jyada enhance krne ke liye rear aur front camera ke sath LED flash light di gai hai. jis se picture aur videos ka aur bhi better experiance milega. J4 plus ke operating system ki baat ki jay to handset main latest android version Android Oreo 8.0 unboxing time milega. Security ki baat ki jay to phone main faceunlock milega. Battery capacity ki baat ki jay to phone main sbhi features ko use krne ke liye 3300mAh ki battery di gai hai. Yeh sbhi specifications mill rahi hai Samsung galaxy j4 plus main. Jo ke market main competation ko beat krne ke liye di gai hai. Yhi hi nahi Samsung sath main de rhi hai bahut hi achi offer. Jo bhi es handset ko Purchase krega osse os purchasing date se one time screen replacement warranty milegi. Es ke liye kuch T&C bhi hai. One time screen replacement ki offer 11th nov 2018 tak valid hai. Es date tak jo bhi handset purchase krega osse One time screen replacement offer milegi. Jab display break hogi tab Rs. 990/- pay kar k samsung service center se display dlva skte ho. Samsung ne market ko dekhte huye mobiles ke price kam kar diye hai. Jaise ke market main bahut kam range main chinese smartphones companies ne apne smartphones launch kiye hai. Un handsets ko beet krne ke liye aur customer ko high end smartphones ka batter experiance kam price main dene ke liye Samsung ne apne handsets ke price kam kar diye hai. 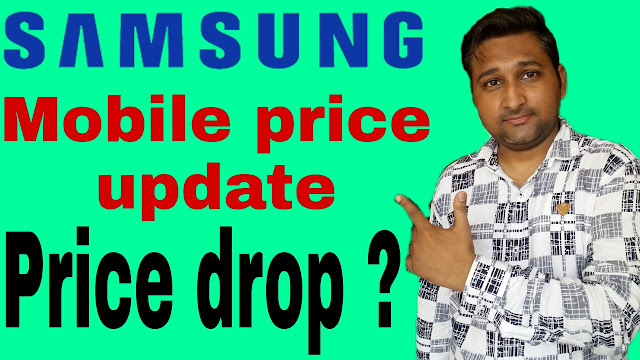 Samsung ne 5 models ke price drop kiye hai. Vo 5 models hai Samsung galaxy j200, Samsung galaxy j4, Samsung galaxy A6 32gb, Samsung galaxy A6 64gb, Samsung galaxy j8. En 5 handsets pe price drop kiye gay hai. Ab Samsung ne jo price rakha hai smartphones ka bahut hi attractive hai. En main se Samsung galaxy A6 32gb aur Samsung galaxy A6 64gb ka price bahut hi attractive hai. Jo ke pehle A6 32gb ka price Rs.20000\- aur A6 64gb ka price Rs.21000\- tha. A6 32gb par Rs.4500\- aur A6 64gb par Rs.4000\- ka price drop aya hai. Yeh hain Sbhi models jin par Samsung ne price drop kiya hai. Ab app bahut kam price par highend smartphones ka experience le skoge. Samsung A6 best option hai es price range main. 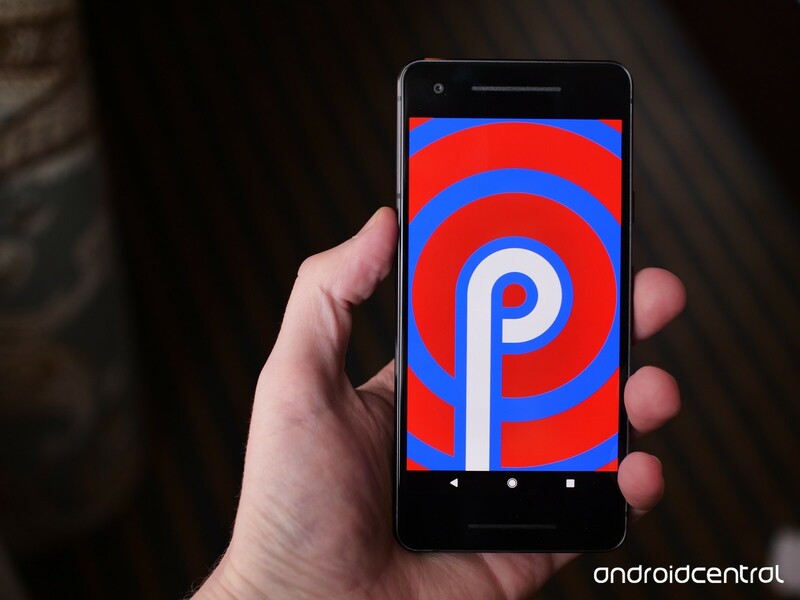 Following a year ago's Oreo discharge, 2018 is the time of Android P. We're still some time away before Google reveals the new programming to all clients, yet even in its present shape, P is demonstrating a considerable measure of guarantee.Things will undoubtedly switch paving the way to Android P's legitimate dispatch, however for the present, here's all that you have to think about the current year's huge refresh. "Android P is relatively here!" That's the means by which Google begins its blog entry presenting Android P Beta 4, otherwise called Developer Preview 5, which is accessible on every single upheld gadget beginning today. As per Google, "The present Beta 4 refresh incorporates a discharge hopeful form with definite framework practices and the official Android P APIs (API level 28), accessible since Beta 2. It incorporates all that you have to wrap up your testing in time for the up and coming authority Android P discharge." as it were, this is essentially a similar variant that will ship to Pixels later in August, when people in general form is discharged. Paving the way to the official dispatch of Android P in about multi month or something like that, the advancement group behind the new refresh as of late got together for an AMA on Reddit to answer specialized inquiries regarding P.
We assessed many, (MANY!) choices for route as a component of this general change to the framework spaces (significant that our principle impulse was tied in with making All Apps/Overview more open from wherever you are in the framework, like the notice shade). HOME and BACK are so integral to Android route (both the framework and the applications) - that guaranteeing the reliability of them through catches with enough space drove us to the present outline. All that said - we truly esteem both the stylish and useful interest of a littler nav bar/more gross-motion route and are proceeding to investigate chances to get that. A framework wide dim mode has likewise been on the psyches of many, and to very little amazement, it was said that Google doesn't "have anything to declare about a brought together dull mode." 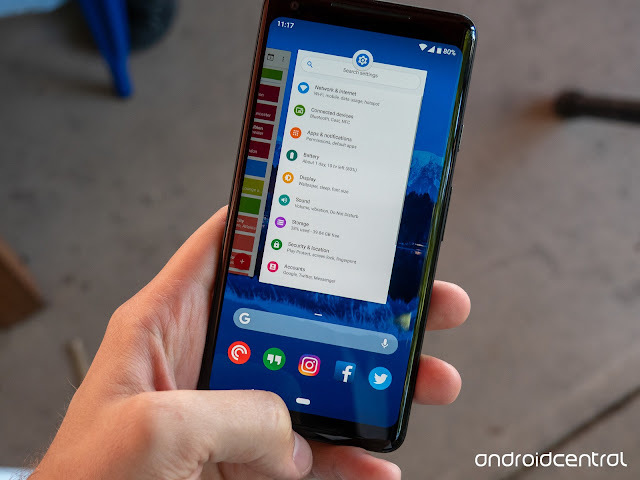 The group additionally clarified how keeping up Project Treble is in reality more troublesome than past endeavors, said a fix is seeking Android's horrendous sharing menu, and that's only the tip of the iceberg. As seen in the third designer see, Android 9 is Android 9. This means Android P is a major redesign from 8.0 Oreo, and in view of what we're going to jump into, we have no issue concurring with that. This mix of taps and swipes is somewhat confounding at the present time, yet we're anticipating that Google should reveal a more refined form of this in later Developer Previews or in the last form. You can even now utilize the conventional three catches in Developer Preview 2 and 3 if the motions aren't your thing, yet it's somewhat evident this is the future Google needs for Android. Android P isn't as radical of a visual change like we saw with the bounce from KitKat to Lolipop, however contrasted with Oreo, there are a few components that are discernibly unique. At first look, things like the vivid symbols in Settings, roundabout Quick Settings symbols, and adjusted corners for pretty much every menu bounce out like a sore thumb. These components do take some becoming acclimated to, however I at last came around to enjoying them a considerable amount. Something different you'll see with Android P is exactly how alive it feels. Between the new motions and refreshed activitys, Android moves in a way that I've never observed. Oreo was smooth and rich, however Android P flies underneath your fingertips in a way that must be knowledgeable about individual. Google gabbed about assisting individuals with their "computerized prosperity" at the current year's I/O gathering, and a great deal of those endeavors are heated directly into Android P.
In spite of the fact that not live in Developer Preview 2 or 3, later forms of Android P will present another framework called Android Dashboard. Android Dashboard will offer a snappy look into how you're utilizing your telephone, including details on which applications you're utilizing the most, how often you've turned on the screen, what number of notices you've gotten, and how much time you've spent on each application. You'll likewise discover an element called App Timers that'll limit you from utilizing a specific application after you've invested x measure of energy in it, and additionally instruments for effectively turning on Do Not Disturb and changing your screen to a monochrome shading palette to enable you to slow down for bed. It appears as though Google's continually endeavoring to discover approaches to expand your telephone's battery life however much as could reasonably be expected, and with Android P, those endeavors are available in another Adaptive Battery mode. Like how Adaptive Brightness consequently modifies your show's splendor level in light of your condition and utilization, Adaptive Battery will look at how you utilize your telephone and utmost CPU use to applications you rarely utilize. Google noticed that Adaptive Battery can bring down CPU utilization by as much as 30%, and because of the utilization of Machine Learning, it'll just show signs of improvement the more you utilize your telephone. With Android Nougat, Google acquainted us with App Shortcuts out of the blue. Holding down on an application symbol to rapidly get to specific components of it can be really valuable now and again, and with Android P, Google's taking these to the following level with App Actions and Slices. Application Actions will endeavor to figure out what you'll do next with your telephone and give you suggest alternate routes for doing as such inside the application cabinet, Assistant, and the sky is the limit from there. For instance, on the off chance that you observe Good Mythical Morning every day with breakfast, you may see an App Shortcut in your application cabinet for seeking Rhett and Link on YouTube amid the morning. Then again, Slices will enable you to perform more unpredictable activities from the Assistant or Google Search. In the illustration Google gave at I/O, looking "I need to book a ride" will give you an extraordinary connect to call a ride home through Lyft (expecting you have the application introduced). In Developer Preview 3, Google included a huge amount of new emoticons to keep your discussions splendid and vivid — 157 of them, to be correct. Despite the fact that we won't go through the whole show, a portion of the features incorporate red hair, hero, look with three hearts, bagel with cream cheddar, mooncake, lobster, and llama. There are likewise upgrades to existing emoticon, including two new unbiased family and couple plans and refreshed searches for the bacon, serving of mixed greens, turtle, and cricket emoticons. Unique mark sensors and face open frameworks make it less demanding than at any other time to get to private data on our telephones, and in Android P Developer Preview 3, Google included a fresh out of the box new standard for this called "BiometricPrompt API." On account of the new API, engineers never again need to make their own particular exchange for utilizing biometric frameworks with their applications. This isn't something you'll see in everyday utilize, except it's an essential foundation change we're glad to see. Like a year ago's Oreo beta, anybody with a Pixel telephone can select in to the Android P beta right presently to get an OTA refresh to download and play with the new programming. Nonetheless, Google's Pixel telephones aren't the main ones that get the chance to play around with this early access. Google's opening up its Android Beta Program to outsider OEMs interestingly because of Project Treble, including Nokia, OnePlus, Sony, Essential, Xiaomi, Vivo, and Oppo. Telecom subscribers base in India reached 116.8 crore at the end of June, with Reliance Jio adding the highest number of new customers to its mobile network, according to a Trai report released today. "The number of telephone subscribers in India increased from 1,153.51 million (115.35 crore) at the end of May 2018 to 1,168.89 million (116.88 crore) at the end of June 2018, thereby showing a monthly growth rate of 1.33 per cent," Trai's subscriber report for the month of June said. The mobile subscriber base in the country increased to 114.65 crore with net addition of 1.55 crore in the reported month. Reliance Jio led the growth in mobile segment by adding over 97 lakh new connections during the month. It was followed by Idea Cellular which added over 63 lakh new connections. Vodafone saw an addition of over 2.75 lakh new mobile connections, BSNL 2.44 lakh and Airtel 10,689. Tata Teleservices, which is in process of merging mobile services business with Airtel, lost over 1 million mobile service customers. Reliance Communications lost 1.08 lakh mobile customers and state-run MTNL 9,615. 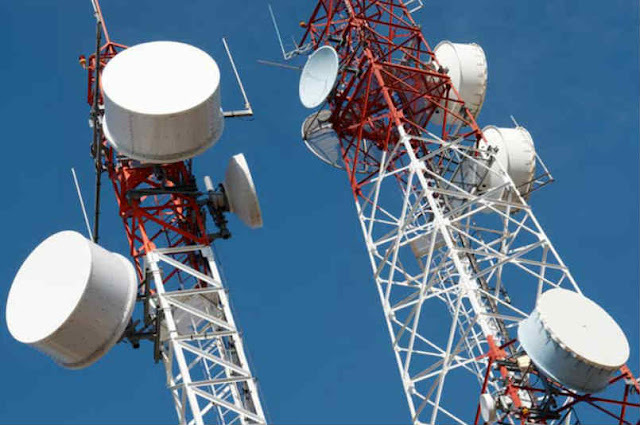 According to the report by Telecom Regulatory Authority of India (Trai), the landline segment continued to decline. Wireline subscribers further declined from 22.51 million (2.25 crore) at the end of May 2018 to 22.40 million (2.24 crore) at the end of June 2018," the report said. The broadband subscribers increased to 44.71 crore in June from 43.2 crore in May with mobile segment accounting for around 96 per cent of the total base. "Top five service providers constituted 97.67 per cent market share of the total broadband subscribers at the end of June 2018. These service providers were Reliance Jio Infocomm Ltd (215.26 million or 21.52 crore ), Bharti Airtel (95.31 million or 9.53 crore), Vodafone (62.86 million or 6.28 crore), Idea Cellular (42.95 million 4.29 crore) and BSNL (20.34 million 2.03 crore)," the report said. The overall tele-density in India reached 89.72 in June. The urban tele-density reached 158.16 and rural tele-density increased marginally to 57.99 at the end of June. Relationship manhandle and family savagery isn't constantly about physical dangers or brutality. Electronic correspondence and online conduct by an accomplice, relative or another person you know can likewise be damaging in the event that it influences you to feel terrified or risky. 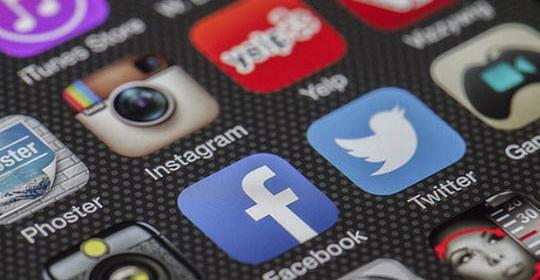 Badgering or undermining you, or your loved ones on long range interpersonal communication locales, for example, Facebook, Twitter or dating/visit/diversions destinations. Stalking, including on the web or cyberstalking is a wrongdoing. It can likewise demonstrate an abnormal state of hazard in a rough relationship. In the event that you are influencing an answer to the police, to be clear about your worries with respect to the utilization of innovation and assemble any proof that may aid an examination. The NSW police have counsel on the most proficient method to record stalking occurrences and what points of interest to assemble to make an answer to police. By 2016 there will be in excess of 20 million cell phones utilized in Australia. More individuals will get to online administrations like managing an account, shopping and web perusing through their cell phones than on a computer. Our consistent dependence on cell phones in day by day life, and the data they assemble and transmit, for example, writings, call information, and the geographic/area points of interest, implies they are an essential apparatus for correspondence. In any case, they additionally can possibly be utilized as an instrument of mishandle. The Victorian SmartSafe examine found that innovation, including cell phones, is being utilized by abusers as an extra road for manhandle that gives 24 hour access to casualties. 63% of ladies trusted they were being taken after or followed. Steps can be taken to expand your security and protection and utmost the abuser's entrance. Cautioning: If you trust that enhancing your innovation wellbeing may heighten the brutality or mishandle, look at the 'Support' segment of this site for security tips. In the event that you are in impending threat, contact the police on 000. Contingent upon security settings and what data is noticeable, it is feasible for an injurious individual to discover a great deal about your life and whereabouts. This can happen either straightforwardly from your own particular record, or through cooperation with your family, companions and others on the web. An oppressive individual can likewise reach a man regardless of whether they have moved to another geographic area. Almost half (49%) of ladies studied in the Victorian SmartSafe inquire about got contact from the abuser through Facebook. Individuals can likewise set up false internet based life accounts. This can give them access to data in the event that they have been hindered, and also to mimic others including the casualty, or to utilize online networking as a gathering to impart harming or oppressive data to a man's family and companions. To enhance security via web-based networking media set your protection settings to the most extreme, so you constrain who can see data that you post, or that others post about you. Offer these assets with your companions or family and, in the event that you are encountering on the web manhandle or badgering, request that they consider changing their own security settings, and to not label you in pictures, as far as possible data about you on the web. A wide range of electronic gadgets and advancements can be utilized to mishandle and irritate. These incorporate shrouded cameras, PC spyware, GPS beacons, concealed chronicle gadgets and other spyware. These are accessible on the web or at spyware shops, and can be generally modest. Cautioning: If you are worried that somebody might screen you with the utilization of these advances, look at the 'Support' segment of this site for security tips. On the off chance that you are in impending risk, contact the police on 000. There have been a few tales about Samsung's foldable Galaxy X handset in the course of the most recent a year, incorporating a conceivable posting in 2017 and gossipy tidbits that it will show up at one year from now's Mobile World Congress occasion. Presently, a report in the Korea Times additionally underpins the 2019 discharge date and recommends how much the gadget may cost: simply finished $1800. Samsung has been taking a shot at a cell phone with a foldable screen for a considerable length of time. With such huge numbers of the present leads being for all intents and purposes indistinguishable in plan, with the conceivable special case of the Vivo Nex, a gadget this inventive could shake up the market. In any case, it includes some significant downfalls. As per Kim Jang-yeol, head of research at financier firm Golden Bridge Investment, the Galaxy X will be discharged in the primary portion of one year from now and cost around 2 million won, which works out at around $1830. Assuming genuine, that would make it near twofold the cost of an iPhone X.
Kim trusts the telephone's OLED show will quantify 7.3 inches when opened out and can be collapsed down to 4.5 inches. Samsung has recorded a few licenses identified with the Galaxy X, including one for "counterfeit muscle," which enables the segments to move in a state of harmony with the screen to shield them from harm. "This new gadget is an intriguing thing as it will have two inside boards and one outside board with the two inside boards shaping the 7.3-inch screen when the telephone is unfurled," said Kim. Stop Hyung-charm, an investigator at Shinhan Financial, additionally trusts that the handset will touch base in 2019. "Parts offshoots and first-level subcontractors will start providing parts to Samsung Electronics' handset division starting in November, at the most punctual, with the organization collecting the telephone going for a dispatch one year from now," he told the production. Samsung leader of portable, Koh Dong-jin, has affirmed the gadget, yet we've heard no official news of a discharge date or conceivable cost from the organization. 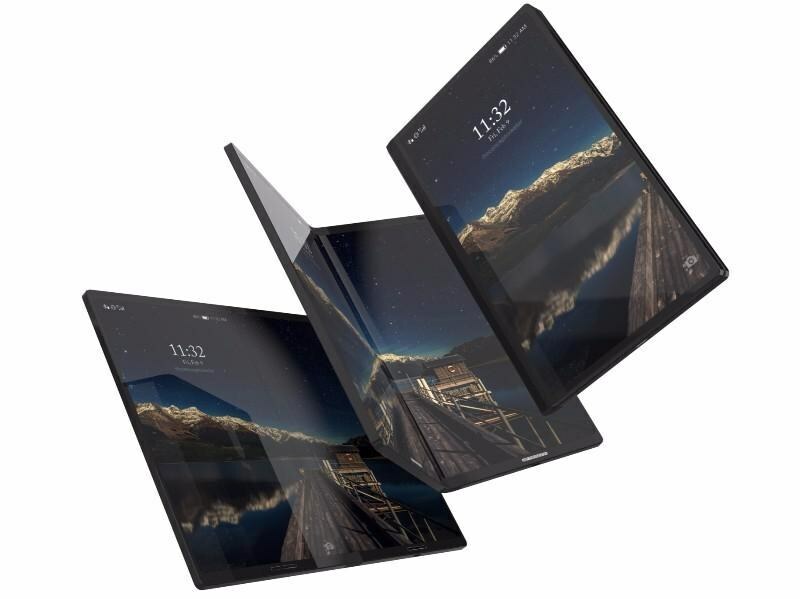 Representative Kim Choon-gon said the firm was on track to build up a gadget highlighting a "genuine foldable show." With such a high sticker price, Samsung won't anticipate that the handset will offer in an indistinguishable amounts from its other Galaxy telephones. Be that as it may, beating its rivals to market will be an overthrow for the organization, and the telephone could speak to the individuals who want the most recent bleeding edge gadgets, regardless of what the cost. 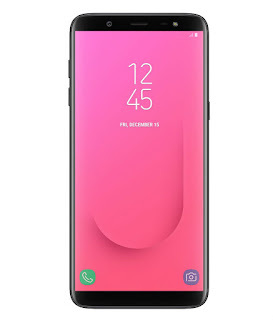 Samsung Galaxy J8. Samsung ne market main competition ko dekhte huye J series aur A series main kafi handsets launch kiye hai. Jaise ke J6 32gb, J6 64gb, A6, A6 plus. Yeh sbhi handsets infinity display main launch kiye gay hai. Infinity display means fullview display. Enhi models main company ne ek aur new model add kr diya hai Samsung galaxy j8. Galaxy j8 ke important features ki baat ki jay to phone main advance dual camera setup diya gya hai. 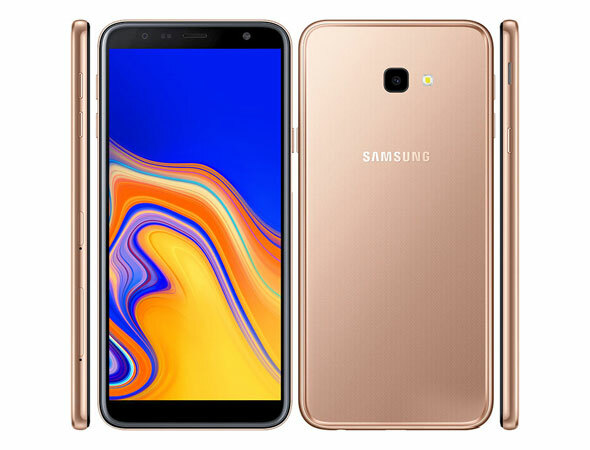 Agar samsung j8 ki full specifications ki baat ki jay to j8 main 6'' (inch) ki sAmoled HD+ infinity display di gai hai. Handset ki look aur build quality samsung galaxy j6 aur a6 ki look aur build quality ke combination ki hai. J8 ka back pannel polycarbonate ka aur eski side metal ki hai. Phone ke hardware ki baat ki jay to j8 main Snapdragon 450 series ka 1.8 GHz Octa- core processor diya gya hai aur yeh model 4GB variant main market main ayga. Galaxy J8 ki internal memory ki baat ki jay to 64GB ki internal storage milegi aur 256GB tak expand kar skte ho. Samsung galaxy j8 ke camera ki baat ki jay to phone main dual camera setup diya gya hai. Phone main 16MP + 5MP ka dual rear camera diya gya hai jisme advance camera features jaise ke Live focus, Blur shape, portrait dolly aur portrait background jaise features milenge. Agar front camera ki baat ki jay to phone main 16MP ka front camera diya gya hai. Phone main Smart Dual sim support diya gya hai aur sath hi memory card insert krne ke liye dedicated slot di gai hai. 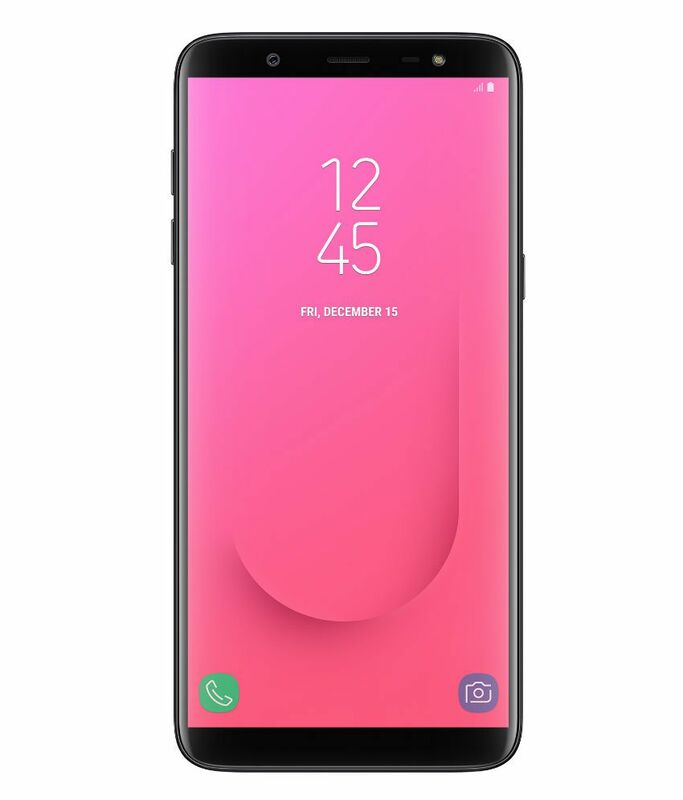 Samsung galaxy J8 android ke latest version Android Oreo available milega. 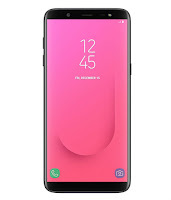 Galaxy J8 ka Indian price Rs. 18990\- rakha gya hai. Esi ke sath hi Samsung ne j8 ke sath bahut hi exiting offers bhi di hai. Agar handset ko purchase krte ho aur payment paytm through dete ho to Rs. 1500\- ka Paytm cashback milega. Agar ICICI ka Credit card use krte ho to os par bhi Rs. 1500\- cashback offer milega. Esi ke sath hi Samsung One time screen replacement offer bhi de rha hai for 9 monts. 9 months main agar display break hoti hai to just Rs. 990\- dekar Samsung service center se dlva skte ho. Smart manager, Secure folder, Power saving mode, Portrait Dolly, Portrait background.